As an AO Business customer, you have the flexibility to choose between five secure, safe and popular payment methods. Whether you want to pay by card, BACS, or set up extended payment terms, we’ve got the options to suit your needs for online or telephone orders. 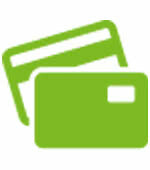 We accept most types of credit or debit card, including Visa, Maestro, Delta, MasterCard and American Express. Your payment details will be securely stored for a hassle-free checkout the next time you order. 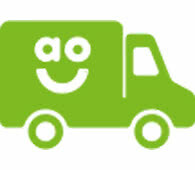 We offer BACS to our AO Business customers whether you’re paying online or over the phone. When shopping online, simply select BACS as a payment method in the checkout and then make sure you select a delivery date at least five working days away, just to give the funds time to clear. Once the payment has reached us successfully, we will contact you to confirm or arrange a suitable delivery date. Larger businesses and existing customers may be considered for extended payment terms on offline orders. Get in touch with our AO Business team on 0330 058 0021 for more information. In your AO Business account you can store and update your chosen payment details. You can also view, print or download your historical orders and VAT invoices.